‘Tis the season for holiday parties and other food-appropriate gatherings. 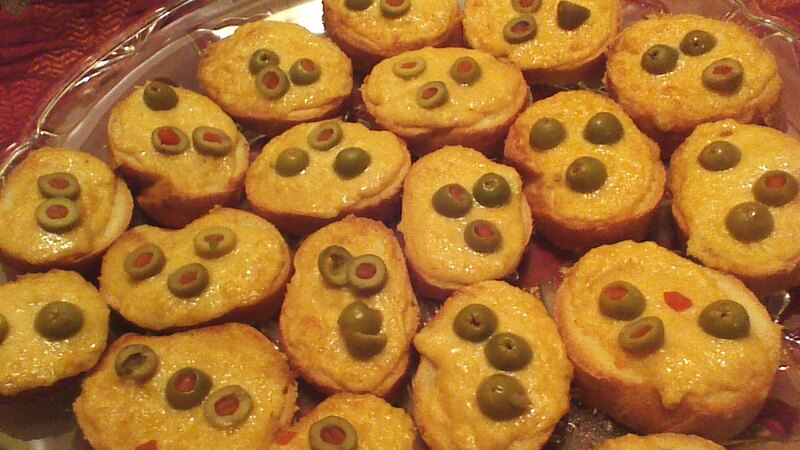 Consider bringing an appetizer to your next event… something fun that doesn’t require utensils to enjoy. Crab Melt Appetizers are perfect for this, because they’re easy to prepare and completely portable. You can prepare them ahead of time right up until the very last step (broiling). Drive them to your party on a baking sheet, borrow your host’s broiler for a quick few minutes, and Voila! Bubbling hot Crab Melt Appetizers for everyone! 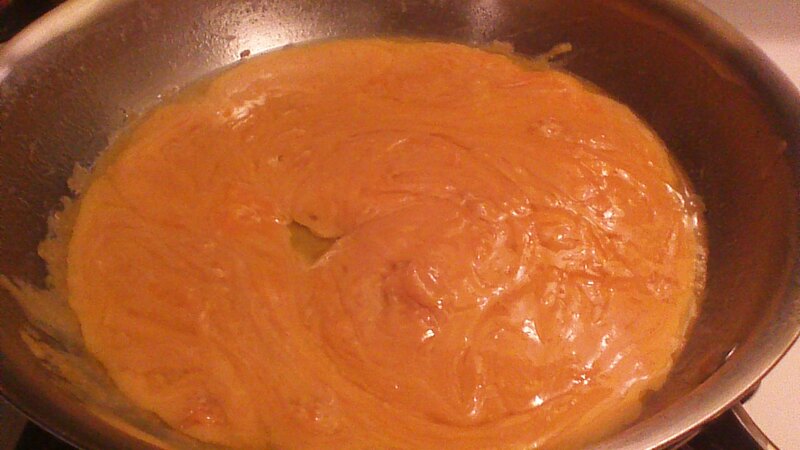 Step 1) Melt cheddar cheese, butter, and Worcestershire sauce in a saucepan over low heat, stirring frequently. 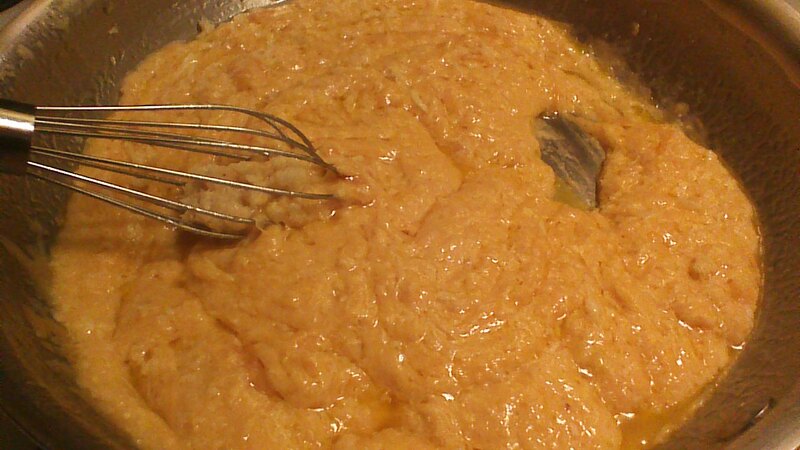 Step 2) Whisk crabmeat into cheese mixture (drain crabmeat first if using canned). 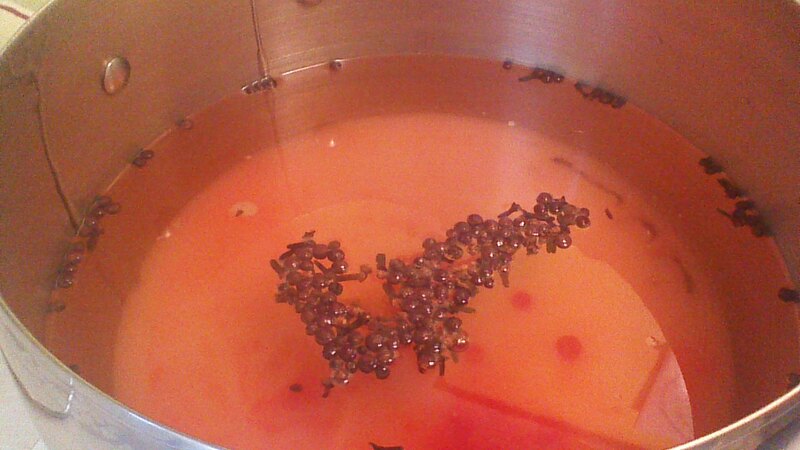 Step 3) Use a teaspoon to spread the crab mixture onto slices of French bread. Top with a few slices of green olive. Step 4) Arrange slices on a baking sheet and broil for 3 – 5 minutes or until the cheese on your crab melts begins to bubble and brown. Step 5) Remove from broiler and serve. Happy Holidays! 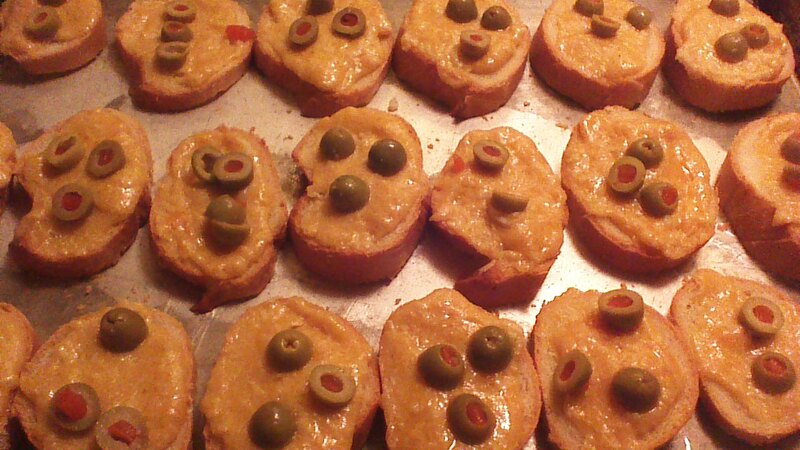 Instead of topping your crab melt appetizers with green olives, try thin slices of red bell pepper. So pretty! Instead of spreading the crab mixture onto slices of French bread, keep it warm in a fondue pot. Set a bowl of bread cubes and fondue forks alongside the fondue pot, and invite your guests to help themselves to Crab Melt Fondue! Feeling adventurous? Try scooping the seeds out of cherry tomatoes, and spooning the crab and cheese mixture into the hollowed out tomatoes. Arrange tomatoes in a pie dish so that they are touching each other (to prevent tomatoes from tipping over). Broil until the crab melt mixture begins to turn golden brown. So fancy! Oh, don’t be a scrooge. I know it’s a bit early to use the word “holiday,” but if you’re going to make Holiday Spiced Apples for your own holiday buffet or offer festive jars as gifts, you need to plan ahead. This recipe is easy to prepare, but tastes best after the flavors marinate in the jar for at least two weeks. 8 quarts is a nice quantity for gift giving, and will allow you to save a jar or two for yourself! The same recipe can also be canned in 16 pint size jars, if you prefer a smaller size. Or cut the recipe in half for 4 quarts or 8 pints. If you don’t want to can the recipe at all, simply store your spiced apples in airtight containers in the refrigerator. They’ll last for several weeks. 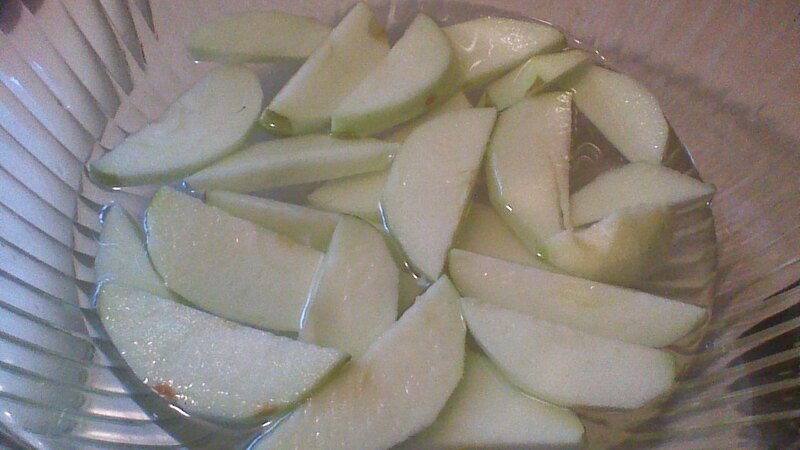 Step 1) Dip peeled apple slices into a bowl containing 4 cups cold water and 1/2 cup lemon juice. This prevents browning. 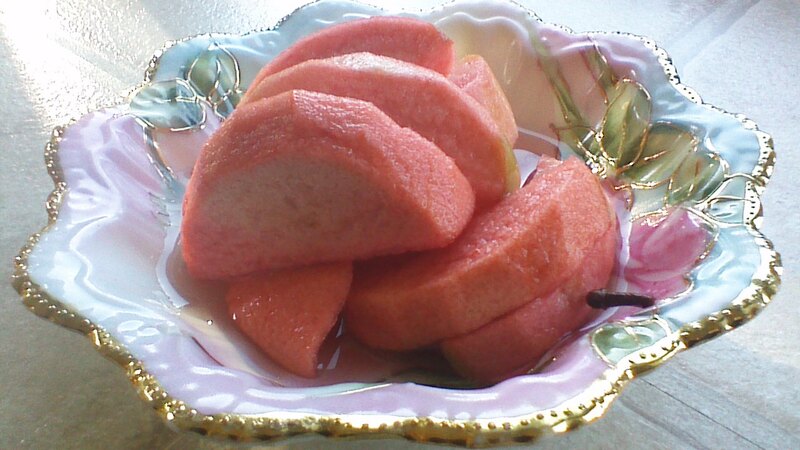 After dipping, set apple slices aside in a large bowl. Step 2) Combine all remaining ingredients in a large stockpot and bring to a boil. Stir often, so that the cinnamon candies don’t stick to the bottom of the pot. Step 3) Reduce heat to simmer, and stir until candies are dissolved. Add apple slices. Step 4) Simmer the apple slices in brine for 2 minutes. Ladle spiced apple slices into sterilized canning jars, leaving 1/2 inch head space. Remove air bubbles by running a butter knife or a canning tool along the inside of each jar. Wipe the tops of the jars clean with a damp cloth, and top with lids and rims. Step 5) Process quart jars in a boiling water canning bath for 15 minutes (pints only need 10 minutes). Do not open sealed jars for at least two weeks, to allow the flavors to blend. Enjoy your spiced apples!